Amplifies the Sound in your Car! 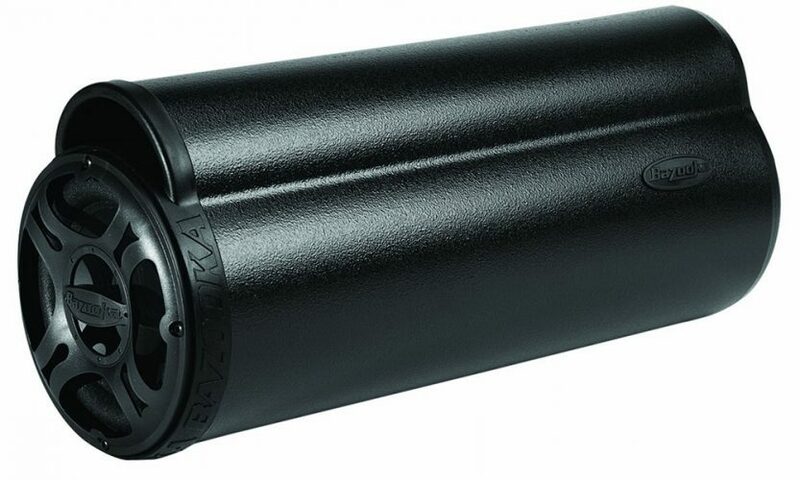 The Bazooka Tube Bass enclosure patented design makes use of tube shape, which is natural pressure vessel that delivers the most efficient output of sound. Effectively pushes all the music without losing any sound. There are no corners that trapped the bass and the sound of your car. The Bazooka Tube Bass enclosure is optimized for corner loading, amplifies for maximum bass performance. Fits in all cars and trucks, better than box speaker and take up less space. Bass Tubes enclosures will outperform most boxes and perfect fits for a perfect sound. Cramped for SPACE, but still hungry for BASS? Descended directly from the original Bass Tubes Enclosure, the BT6014 is the perfect solution to the lack of bass in vehicles with challenging space requirements. Don’t let it’s small size fool you. 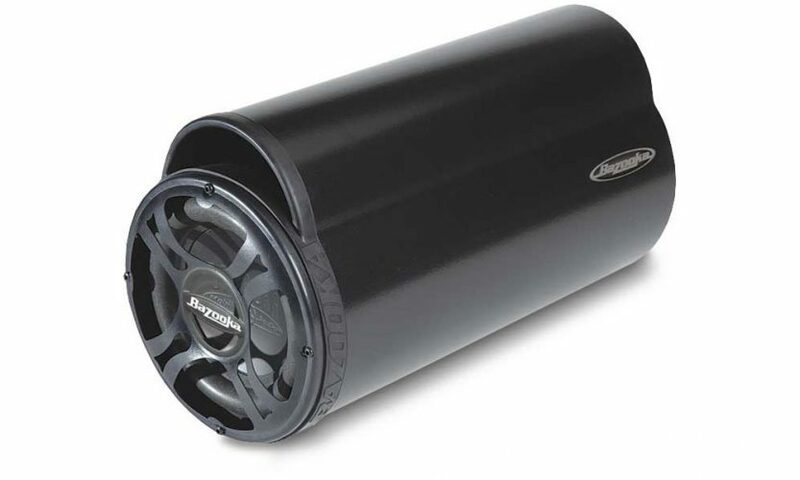 With a 6-inch, high power handling woofer, it can restore that missing low end in your system, without sacrificing that precious storage space in your trunk. What’s more, the 6 inch has been known to fit in some VERY tight spaces–from behind the seat in mini pickups, to behind panels! The only thing better than adding a 6014 to your cramped audio system would be adding a couple of them. Best used in multiples when great bass is needed without giving up any available space, you’ll appreciate being able to use this versatile piece in many cars for years to come. 100 watts gets this sub pumping, thanks to the super efficient Bass Tubes Enclosure . Which means you don’t have to break the bank finding a huge amp to drive it with. Also a great contender for multi-channel setups, this would be a great sub to use with a 4 channel amplifier to setup a great sounding, easy to install system. Voice Coil Size: 1.5″ high power/high temp. As all in one solutions go, you simply can’t beat the 100W Amplified Bass Tubes by Bazooka. Designed to be a simple-to-install, yet effective upgrade to your car’s existing mobile audio system, the 100W Bass Tubes feature a 100 watt, 2-channel amplifier built right in, coupled to a dual voice coil woofer. Since the amplifier has a built in crossover to remove the high frequencies the woofer cannot play from the signal, you get exactly what you need—crisp, clean bass and nothing more. 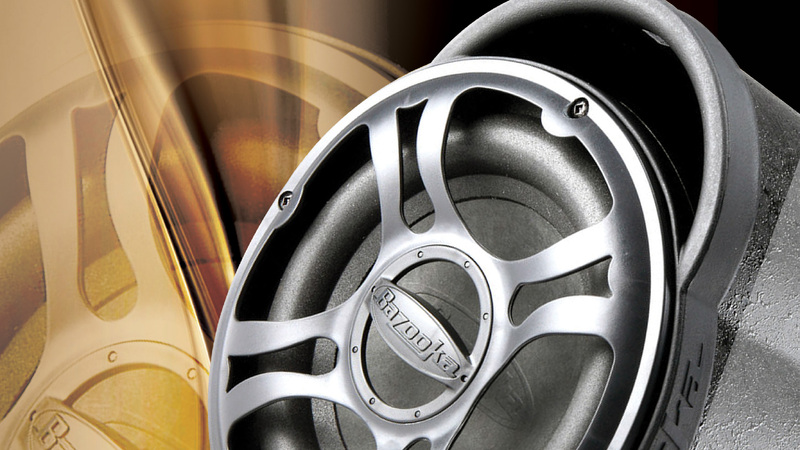 When connected to your system, the end result is seamless integration, both electrically and audibly, yielding sound quality your factory autosound system simply can’t touch. The BTA6100 features a 6 inch dual voice coil subwoofer, and fits in places most subs can’t. The 6 inch works great behind the seat of small trucks, the trunks of sedans or hatchbacks. Simply point it into the rear corner to take advantage of the Bass Tubes Enclosure , and you’re rockin’ in no time! Get your Bazooka Quotation Now!